The comment elicited criticism over the weekend, including from Florida Congresswoman Debbie Wasserman Schultz, the chair of the Democratic National Committee, who on Sunday called for an apology. But Huckabee, an ordained Baptist minister who travels frequently to Israel and has an affinity for the country, is not backing down. 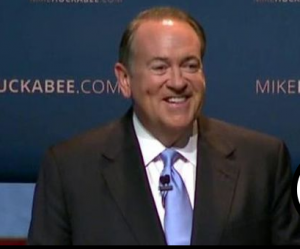 Huckabee, who in May announced he is running for president, has frequently broadcast his opposition to the agreement reached earlier this month.